Tucked away in Edgewood Plaza, the House of Bagels is the perfect pit stop for a crime fighter on the move. This popular, New York-inspired establishment features all the bagel basics — the savory spreads, the soft lox, the mouth-watering deli sandwiches — along with cookies, pastries and other baked goods. But the star of the show is the bagel itself. Firm on the outside and warm on the inside, a bagel from this shop is the epitome of a superhero snack. Douce France is the ultimate power every superhero needs when battling the villainous Sweet Tooth Cravings. The French bakery's stunning array of desserts — from bite-sized strawberry tarts to delicate eclairs — are packed with enough flavor to give you an energy blast that will have you saving humanity. All baked goods are made from fresh ingredients and follow recipes that originated in the Alsace region of France over half a century ago. 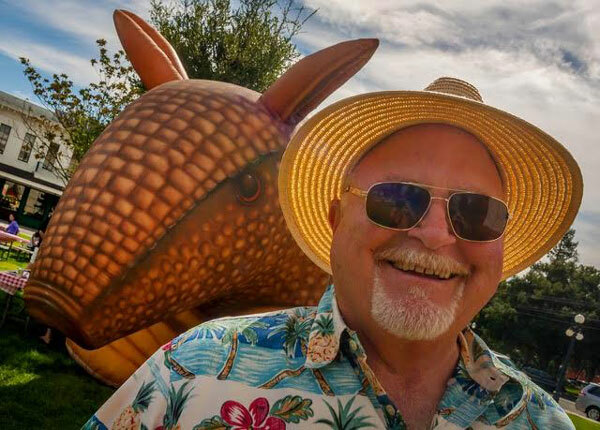 The Texas-inspired grub at Armadillo Willy's has the power to lure barbecue fans back for more over and over again. The ribs, brisket and nearly everything else on the menu is cooked over an oak-wood fire at this locally owned BBQ joint, which got its start in Los Altos in 1983. The menu offers traditional items like pinto beans and hand-cut fries, as well as more adventurous options, like jalapeno-cheese sausage and its trademark spicy peanut coleslaw. It's the most important meal of the day, even for superheroes! Longtime breakfast spot Hobee's has everything heroes need to get ready for blasting their way through obstacles either villainous or ginormous (or both!) — from get-up-and-go energy-blend smoothies to a mega-stack of honey whole-wheat pancakes to the aptly named "Super" veggie scramble. And for a real kickstarter, have a cuppa Hobee's eye-popping cinnamon-orange tea. You know what they say: You gotta fuel up before you suit up. Despite having opened just last year, Teaspoon Palo Alto has quickly become a mighty power in Palo Alto, captivating boba-crazed enthusiasts of all ages. (You will find them at the Midtown storefront pampering their taste buds at most hours of the day.) The beverage shop offers a variety of mouth-watering specialty drink flavors — from toasted marshmallow to virgin mojito — made with all-natural golden cane sugar. While Teaspoon is known for its teas, hot summer days may call for one of the store's signature snow desserts, with yummy flavors like banana and taro. Much like superheroes, no two burgers at The Counter are the same. The popular joint on California Avenue puts a premium on letting you custom-build your burger down to the last detail. And it gives you plenty of building blocks to do so, from a generous choice of meats. Should you go for the traditional one-third pounder on brioche or a Bison burger? Feeling like chicken with Dijon honey or care to go meat-free with the "Impossible" burger? Care to throw in some carrot strings or marinated artichokes? How about smoked bacon and fried onion strings? The possibilities are endless and, in most cases, glorious. The burritos at Sancho's Taqueria soar off tables and into mouths so quickly you might mistake one for a bird or a plane. Don't be fooled, though — the variety of burrito options at Sancho's are well worth savoring. At this burrito joint, the sky's the limit when it comes to portions and ingredients. Choose from 12 different kinds of burritos with eight different meat options, as well as vegetarian fare. Whether your tortilla is stuffed with french fries or fish, it's hard to go wrong at Sancho's. Is that sandwich you packed for lunch looking a little dubious? Toss it and let Driftwood Sandwiches & Deli Market save the day! Delicious deli cuts stacked on top of variegated fixings and spreads will give you a sandwich so tall you'll need superhuman jaw strength to fit it all in your mouth. Happy customers come from all over the Bay Area to enjoy the sandwiches from this old-style, family-owned deli. You don't need to teleport to ancient China like Sorcerer Supreme Doctor Strange when you're in the mood for classic dim sum; you just need to know how to get to Steam. Inspired by the ancient tea houses along the Silk Road that served bite-sized dumplings to weary travelers, the modern-day wooden restaurant on University Avenue specializes in making a variety of steamed dumplings made fresh in the open kitchen, as well as plenty of other familiar Chinese dishes, such as kung pao chicken and walnut prawns. The Piazza brothers might not fly above the suburban skyline wearing a giant "P" on their chests, but that doesn't mean this family's market is anything less than Incredible. With its blend of old-world charm (founder John Piazza immigrated from Sicily in 1933) and the convenience and amenities of modern supermarkets, Piazza's Fine Foods has been the Supers of the grocery scene since 1979. The still-family-owned store has a commitment to organic seasonal produce and natural foods and patrons love its scrumptious deli, perfect for a picnic in nearby Mitchell Park (try the grilled Portabello mushroom sandwich on focaccia with basil aioli, provolone cheese, lettuce and tomato). Patrons of Calave have a superpower: making wine disappear before your very eyes. The California Avenue wine bar again took home the award for best happy hour, with $2 off all wine (including housemade sangria) and beer by the glass and select bar bites every day from 4-6 p.m. The owners envision Calave as a "prohibition meets modern day" wine bar, complete with an interesting, international wine list and booze-friendly food like truffle popcorn, cheese flights, sous vide tri tip and a sandwich stuffed with caramelized onions, Gruyere cheese and peanut butter. When Mr. Freeze and Iceman want to chill, they head over to Tin Pot Creamery to put a deep freeze over their taste buds. 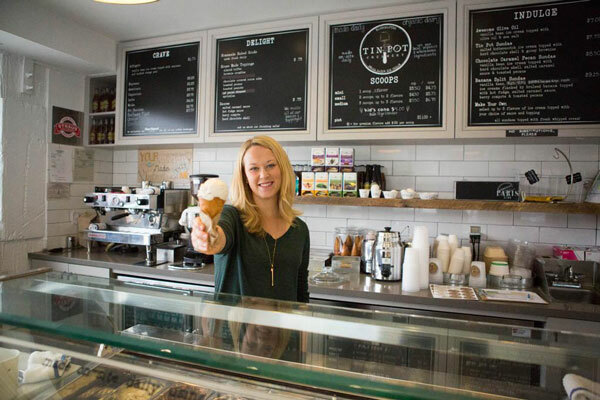 What started as an Ice Cream of the Month club has now expanded to several storefronts, where locals and tourists can often be found standing in line for the shop's famous thick-and-creamy organic ice cream. The menu includes classic flavors as well as more innovative ones like salted butterscotch and sweet cream with honey balsamic swirl. Ingredients are locally sourced. Feast your bionic eyes on the frosty milkshakes at Palo Alto Creamery Fountain & Grill in downtown Palo Alto. This vintage diner has been serving shakes since 1923. Everything here is made from scratch, including the 20-plus milkshake flavors on the menu, which are all served the old-fashioned way in metal mixing cups. Like the sign says, "Anytime is a good time for shakes." A real-life soccer superhero is behind Tuts Bakery & Cafe in downtown Palo Alto: Hakan Sukur, a star in the Turkish sports world who fled his native country several years ago. Tuts opened in 2017 and has quickly become a favorite in Palo Alto. Tuts serves baked goods, soups and sandwiches with Middle Eastern flair, such as the menemen (Turkish scrambled eggs with tomato and peppers), a panini with sliced soujouk (a dry, spicy sausage) and a salad with crispy halloumi cheese. Craving authentic Italian pizza but can't fly like Superman to the boot of Europe? 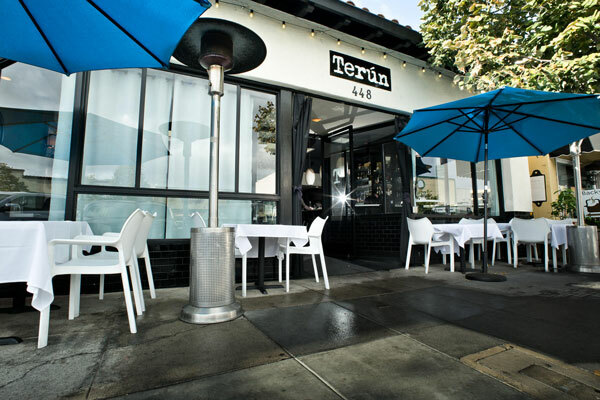 Look no farther than Terún, which offers a slice of Italy in Palo Alto. Diners can't go wrong with the classic Margherita, but the Schiacciata and Tricolore — which both have burrata — are clear crowd favorites. The restaurant's secret to success could very well be in the thin crust, simple toppings or the wood-fired oven. Before you book your reservation (dinner service can be busy, even on weekdays) heed this warning: These pies have the ability to steal "a pizza" your heart. The vendors at the California Avenue Farmers' Market are guardians of the produce galaxy. The blockslong Sunday market consistently brings some of the region's best in-season fruit and vegetables, as well as dairy and meat products, pastries, prepared foods and live music. The market is open all year, rain or shine, on Sundays from 9 a.m. to 1 p.m. 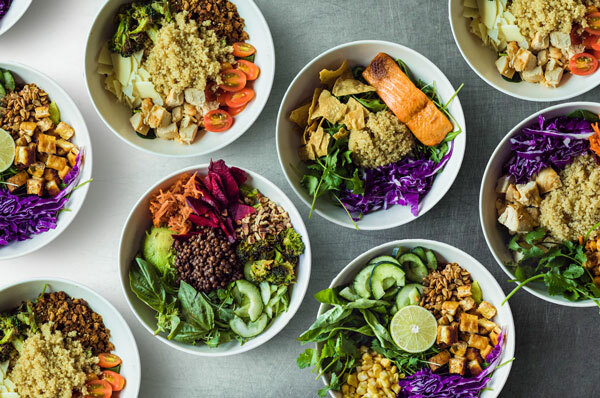 It takes a superhero effort to source the lettuce, vegetables, fruit, meat and other toppings for Sweetgreen's farm-to-table salads. The national salad chain combines a fast-casual service concept with seasonal dining. The menu changes five times each year, with the supplying farmers and vendors posted on a list inside the downtown restaurant. Diners can take their pick from signature salads and seasonal combinations or customize their own. Chocolate? Mango? Vegan? Gluten-free?... You can have it all at Fraiche Yogurt where the team's ultimate mission is "to satisfy ANY craving!" This yogurt shop makes everything from scratch with its very own small-scale dairy plant — pasteurizing its own milk and culturing yogurts. Whether you want your yogurt frozen or Greek, you can be sure you're getting real homemade yogurt, full of nutrients and probiotics. Fraiche also offers oatmeal bowls, smoothies, breakfast items and Sightglass coffee. If you're looking for something savory, Fraiche also serves avocado toast, quinoa salad and other healthy options for a light lunch or an afternoon pick-me-up, so superheroes like you can continue powering through the day.